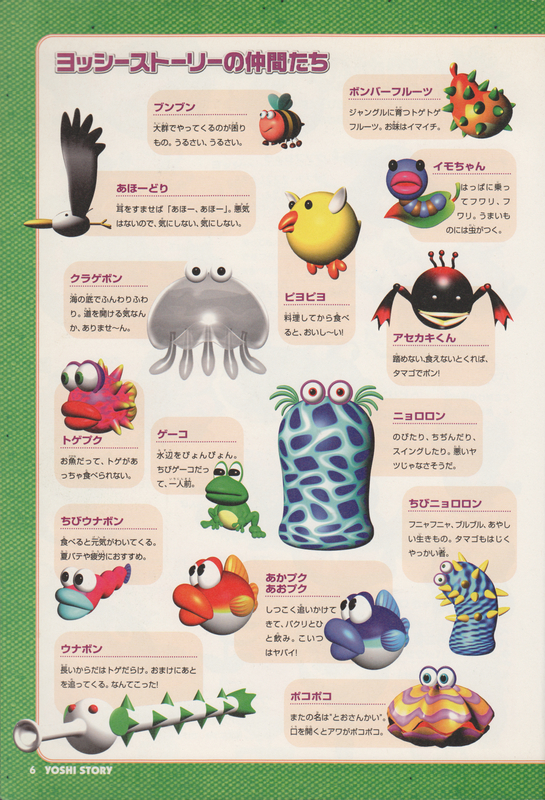 The Snorkel Snake, also called "Snorkle Fish", is an enemy appearing in Yoshi's Story. It appears in only one area of the level Lots O'Jelly Fish, where it waits for the player to swim nearby. When it spots the player, it will swim in circles around them. However, its body is not long enough for it to make a complete circle, and there will always be an opening for the player to quickly swim out of. The Snorkel Snake is seen swimming on the world map of the Ocean. It resembles a large, white serpent with green spikes and a large fin for a tail. Its head is a large ball with red eyes, flippers, and a spout for a mouth. It is invincible since Yoshis cannot throw eggs underwater, and the spikes on its body are harmful. In New Super Mario Bros. U, a similar enemy called Dragoneel appears, as they both try to encircle players with their bodies. This page was last edited on January 23, 2019, at 17:10.